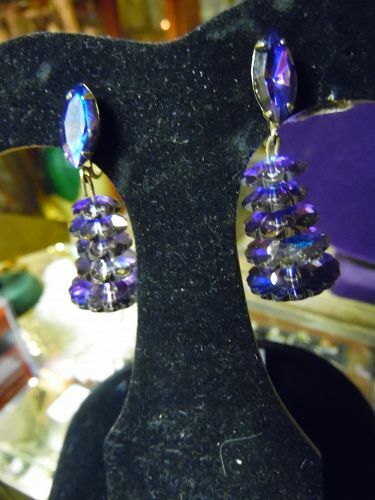 Gorgeous rare vintage 1960s clip drop goldtone metal mounted earrings with tiered two sided rivoli glass beads in smoky purple vitrail iridescent finish, with flashes of green and fuschia. With matching vitrail bicone glass beads and navette glass faceted stones in prong settings at the tops. Marked LEWIS SEGAL USA Just under 2 5/8 inches long. Clip backs. BEAUTIFUL!! 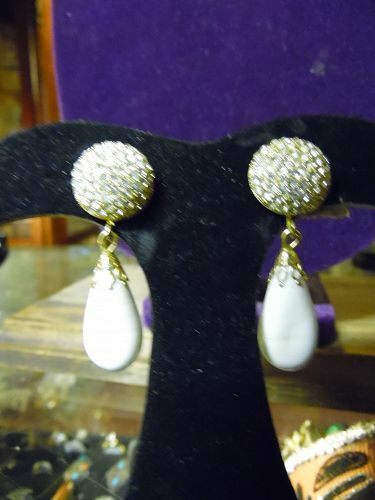 Lovely Weiss dangle earrings with white glass drop bead. 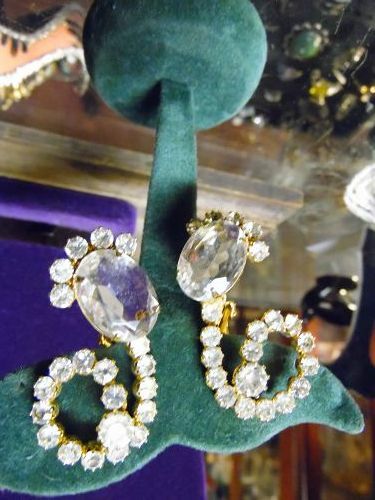 Ear bob piece is encrusted with tiny clear rhinestones. Clip back and are marked Weiss. Total length is almost 2". Excellent condition!! 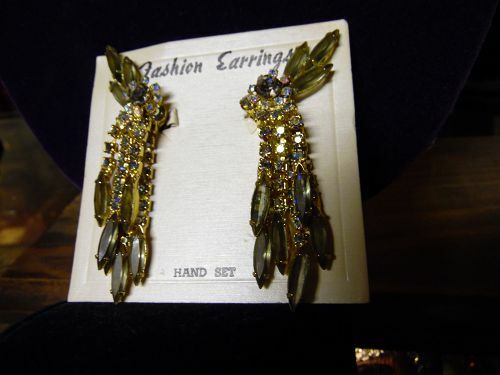 Gorgeous chandelier earrings are gold tone and have cascades of smoky crystal beads that cascade from the ear bob. Clip style. Measures 2 1/4" long total. PERFECT condition. No jewelers marking. 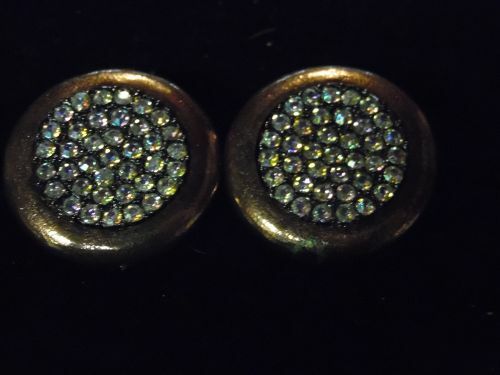 Amazing clear crystal rhinestone earrins. 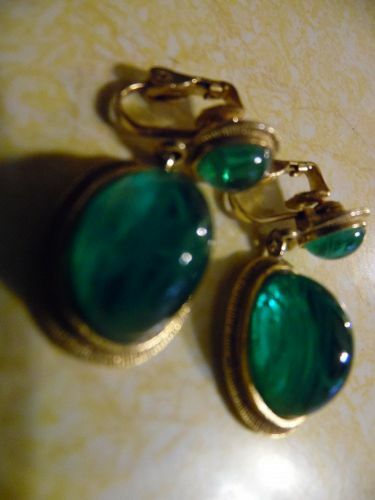 Set in gold tone these earrings have three dimensional shape that really pops out at you. Measures 1 7/8" long and has clip om backings. 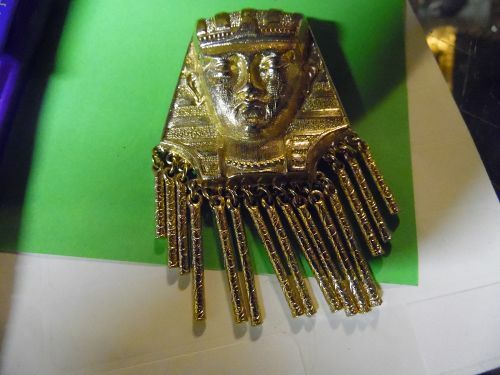 Spectacular but no makers marking. 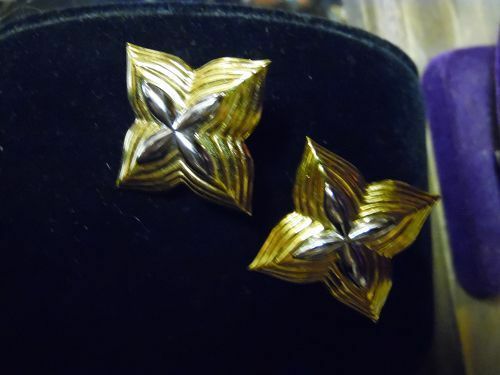 Vintage screw back earrings on the original card. made by Dauplaise. 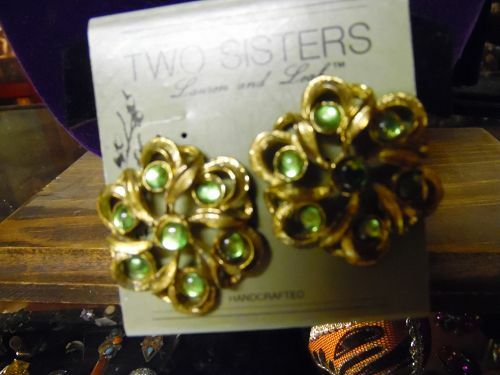 Gleaming gold tone settings have three staggered circles filled with bright rhinestones, From these three circles, three chains hand with a rhinestone and pearl drop at the end of each. Measures 3 1/4" long from top to bottom. Excellent condition. 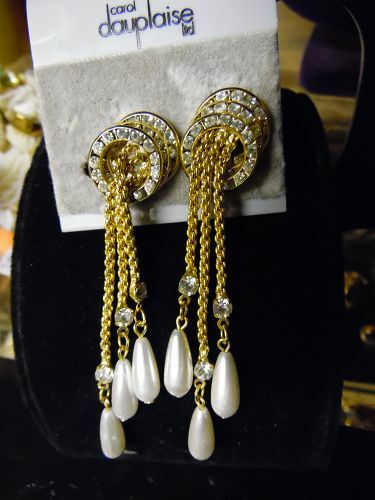 This is a pair of Marvella earrings with imitation tear drop pearls in an Art Deco design. They are in like new condition. 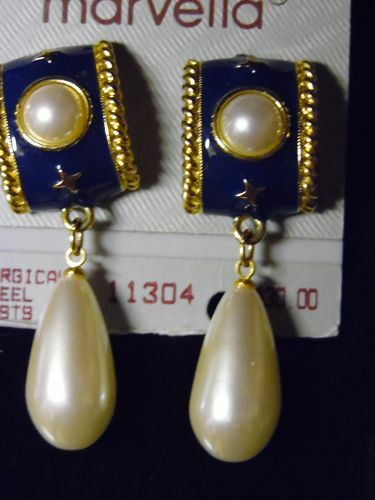 Gold tone setting with Navy blue enamel with gold stars and gold rope edge trim. Beautiful pearl drops are so nice they look and feel real. Total length from top to bottom is 2 1/8". 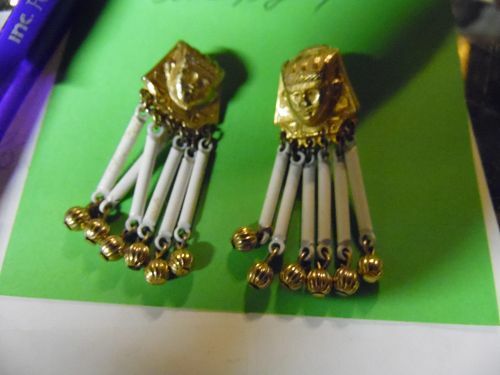 Post backs for pierced ears. Comes on the original card. Never worn. 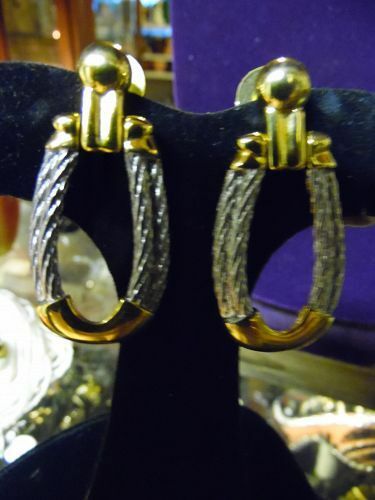 Wonderful vintage long gold tone earrinigs on the original card. Made b H&S Originals, Grand Duchess. Measures 3 1/2" long and has clip backs. Never worn. 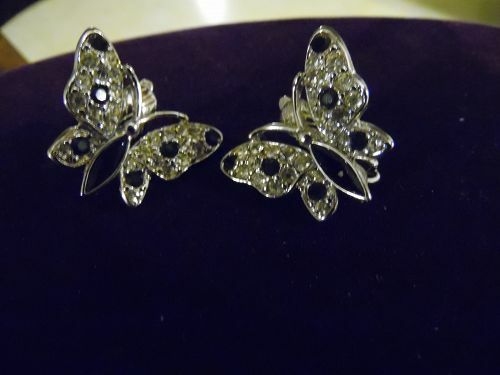 Nice vintage paair of Coro earrings measures 1" square and has red and black rhinestones in a black setting. 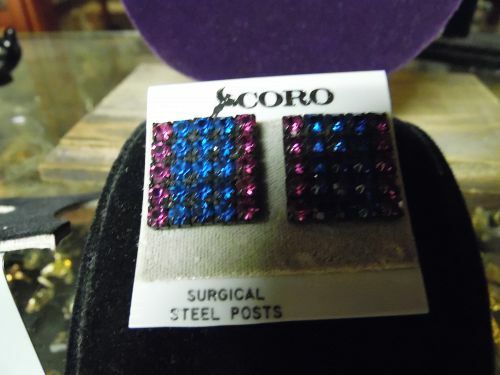 Surgical steel posts, and are still on the original Coro card. 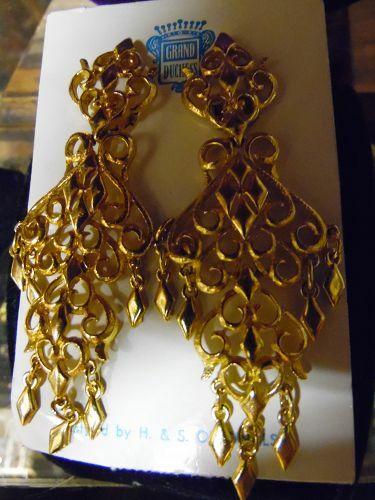 Beautiful and elegant shiny gold tone earrings by Napier on the original card. 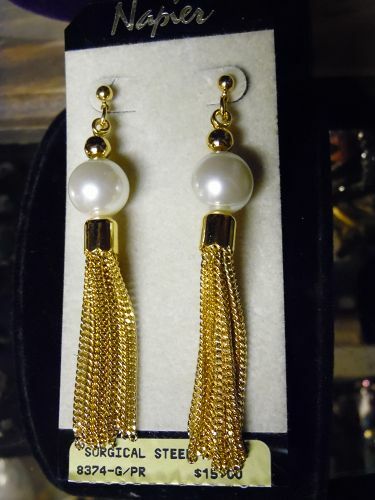 Large faux pearl with shimmering gold chain tassels. 3 1/2" long with pierced post backs. Never been worn. Pristine condition.